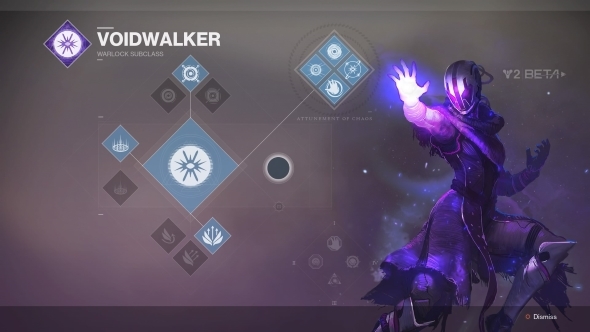 There’s a pretty significant glitch going around in Destiny 2’s Crucible, and it’s one that’s giving a whole lot of extra power to Voidwalker Warlocks. That’s extra power to the tune of “infinite, unlimited supers,” and it seems the glitch isn’t getting fixed until Bungie get back from their holiday break. Here’s all the new Destiny 2 gear available in the Dawning. The exploit – which is already all over the Destiny 2 community by this point – involves using the Chaos Accelerant perk, which lets you consume a bit of super meter to make your grenade more powerful. If you use your super while overcharging the grenade, it will cancel into the Nova Bomb. If you’re playing in the new Mayhem mode for this year’s Dawning, your super meter will refill faster than the overcharge can drain it, granting you infinite supers. The game recognizes these as grenade kills rather than super kills (meaning one point per kill rather than three), but that’s still infinite Nova Bombs. More frequent supers is part of the appeal of the fast-paced Mayhem mode, but this is a bit ridiculous. Bungie have confirmed they won’t be fixing the issue before the conclusion of the event – they’re likely down to a skeleton crew for the holiday break – so the remainder of this year’s Mayhem will have you dodging Nova Bombs any way you can. Don’t be shy about taking advantage of the glitch if you’ve got an appropriately specced Warlock, either, since Bungie won’t be banning anyone for doing so. Either way, the Dawning hasn’t quite been a smash hit with players, especially given that the event’s coolest gear is locked inside of loot boxes, and items intended to increase drop rates aren’t working as they’re supposed to. Mayhem had been one of the few largely-praised bits of the event, but now there’s an exploit to work through for the remainder of its duration.